The Governing Body of Jehovah's Witnesses is the ruling council of Jehovah's Witnesses based in the group's Warwick, New York headquarters. The body formulates doctrines, oversees the production of written material for publications and conventions, and administers the group's worldwide operations. Official publications refer to members of the Governing Body as followers of Christ rather than religious leaders. Its size has varied, from seven (2014–2018) to eighteen (1974–1980) members. New members of the Governing Body are selected by existing members. 4 Relationship with "faithful and discreet slave"
Since its incorporation in 1884, the Watch Tower Bible and Tract Society of Pennsylvania has been directed by a president and board of directors. Until January 1976, the president exercised complete control of doctrines, publications and activities of the Watch Tower Society and the religious denominations with which it was connected—the Bible Students and Jehovah's Witnesses. When the Society's second president, J. F. Rutherford, encountered opposition from directors in 1917, he dismissed them. In 1925 he overruled the Watch Tower Society's editorial committee when it opposed publication of an article about disputed doctrines regarding the year 1914. In 1931, the editorial committee was dissolved. In 1943 The Watchtower described the Watch Tower Bible and Tract Society as the "legal governing body" of anointed Jehovah's Witnesses. A year later, in an article opposing the democratic election of congregation elders, the magazine said the appointment of such ones was the duty of "a visible governing body under Jehovah God and his Christ." For several years, the role and specific identity of the governing body remained otherwise undefined. A 1955 organizational handbook stated that "the visible governing body has been closely identified with the board of directors of this corporation." Referring to events related to their 1957 convention, a 1959 publication said "the spiritual governing body of Jehovah’s witnesses watched the developments [then] the president of the Watch Tower Bible & Tract Society [acted]." The 1970 Yearbook of Jehovah's Witnesses noted that the Watch Tower Bible and Tract Society of Pennsylvania was the organization used to plan the activity of Jehovah's Witnesses and provide them with "spiritual food", then declared: "So really the governing body of Jehovah's Witnesses is the board of directors of the Watch Tower Bible and Tract Society of Pennsylvania." Frederick Franz at Watch Tower Society headquarters in Brooklyn. On October 1, 1971, Watch Tower Society vice-president Frederick Franz addressed the annual meeting of the Pennsylvania corporation in Buckingham, Pennsylvania, stating that the legal corporation of the Watch Tower Society was an "agency" or "temporary instrument" used by the Governing Body on behalf of the "faithful and discreet slave". Three weeks later, on October 20, four additional men joined the seven members of the Society's board of directors on what became known as a separate, expanded Governing Body. The board of directors had until then met only sporadically, usually to discuss the purchase of property or new equipment, leaving decisions about Watch Tower Society literature to the president and vice-president, Nathan Knorr and Fred Franz. The Watchtower of December 15, 1971 was the first to unambiguously capitalize the term "Governing Body of Jehovah's witnesses" as the defined group leading the denomination, with a series of articles explaining its role and its relationship with the Watch Tower Society. The focus on the new concept of "theocratic" leadership was accompanied by statements that the structure was not actually new: The Watch Tower declared that "a governing body made its appearance" some time after the formation of Zion's Watch Tower Society in 1884, though it had not been referred to as such at the time. The article stated that Watch Tower Society president Charles Taze Russell had been a member of the governing body. 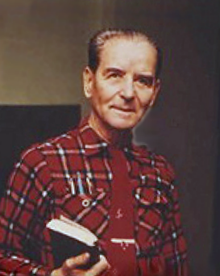 The 1972 Yearbook of Jehovah's Witnesses stated that following Rutherford's death in 1942 "one of the first things that the governing body decided upon was the inauguration of the Theocratic Ministry School" and added that the "governing body" had published millions of books and Bibles in the previous thirty years. Former member of the Governing Body, Raymond Franz, stated that the actions of presidents Russell, Rutherford and Knorr in overriding and failing to consult with directors proved the Bible Students and Jehovah's Witnesses had been under a monarchical rule until 1976, leaving no decisions to any "governing body". In 1972, a Question From Readers article in The Watchtower further reinforced the concept of the "Governing Body"; the magazine said the term referred to an agency that administers policy and provides organizational direction, guidance and regulation and was therefore "appropriate, fitting and Scriptural." Organizational changes at the highest levels of the Watch Tower Society in 1976 significantly increased the powers and authority of the Governing Body. The body has never had a legal corporate existence and operates through the Watch Tower Society and its board of directors. After its formal establishment in 1971, the Governing Body met regularly but, according to Raymond Franz, only briefly; Franz claims meetings were sometimes as short as seven minutes, to make decisions about branch appointments and conduct that should be considered disfellowshipping offenses. Franz claims that in 1971 and again in 1975, the Governing Body debated the extent of the authority it should be given. The Governing Body voted in December 1975 to establish six operating committees to oversee the various administrative requirements of the organization's worldwide activities that formerly had been under the direction of the president; furthermore, each branch overseer was to be replaced by a branch committee of at least three members. The change, which took effect on January 1, 1976, was described in the Watch Tower Society's 1993 history book, Jehovah's Witnesses—Proclaimers of God's Kingdom, as "one of the most significant organizational readjustments in the modern-day history of Jehovah's Witnesses." In 1980, dissent arose among members of the Governing Body regarding the significance of 1914 in Jehovah's Witnesses' doctrines. According to former Witnesses James Penton and Heather and Gary Botting, internal dissatisfaction with official doctrines continued to grow, leading to a series of secret investigations and judicial hearings. Consequently, dissenting members were expelled from the Brooklyn headquarters staff in the same year. Raymond Franz claimed he was forced to resign from the Governing Body, and he was later disfellowshipped from the group. The Watch Tower Society responded to the dissent with a more severe attitude regarding the treatment of expelled Witnesses. In his 1997 study of the denomination, Penton concluded that since Raymond Franz's expulsion in 1980, the Governing Body displayed an increased level of conservatism, sturdy resistance to changes of policy and doctrines, and an increased tendency to isolate dissidents within the organization by means of disfellowshipping. The April 15, 1992 issue of The Watchtower carried an article entitled Jehovah’s Provision, the “Given Ones” which drew a parallel between ancient non-Israelites who had been assigned temple duties (the "Nethinim" and "sons of the servants of Solomon") and Witness elders in positions of responsibility immediately under the oversight of the Governing Body who did not profess to be "anointed". Until 2000, the directors and officers of the Watch Tower Society were members of the Governing Body. Since then, members of the ecclesiastical Governing Body have not served as directors of any of the various corporations used by Jehovah's Witnesses, and the Governing Body has delegated such administrative responsibilities to other members of the group. The Governing Body functions by means of its six committees, which carry out various administrative functions. Each committee is assisted by "helpers," who do not necessarily profess to be "anointed". Governing Body meetings are held weekly in closed session. According to Raymond Franz, decisions of the body were required to be unanimous until 1975, after which a two-thirds majority of the full body was required, regardless of the number present. The Personnel Committee arranges for volunteers to serve in the organization's headquarters and worldwide branch offices, which are each referred to as Bethel. It oversees arrangements for the personal and spiritual assistance of Bethel staff, as well as the selection and invitation of new Bethel members. The Publishing Committee supervises the printing, publishing and shipping of literature, as well as legal matters involved in printing, such as obtaining property for printing facilities. It is responsible for overseeing factories, properties, and financial operations of corporations used by Jehovah’s Witnesses. The Service Committee supervises the evangelical activity of Jehovah's Witnesses, which includes traveling overseers, pioneers, and the activities of congregation publishers. It oversees communication between the international headquarters, branch offices, and the congregations. It examines annual reports of preaching activity from the branches. It is responsible for inviting members to attend the Gilead school, the Bible School for Single Brothers, and the Traveling Overseers’ School, and for assigning graduates of these schools to their places of service. The Teaching Committee arranges congregation meetings, circuit assemblies, and regional and international conventions as well as various schools for elders, ministerial servants, pioneers and missionaries, such as Gilead school. It supervises preparation of material to be used in teaching, and oversees the development of new audio and video programs. The Writing Committee supervises the writing and translation of all material published by the Watch Tower Bible and Tract Society, including scripts for dramas and talk outlines. It responds to questions about scriptural, doctrinal, and moral issues, specific problems in the congregations, and the standing of members in congregations. The Coordinator's Committee deals with emergencies, disaster relief and other matters, such as investigations. It comprises the coordinators, or a representative, from each of the other Governing Body committees and a secretary who is also a member of the Governing Body. It is responsible for the efficient operation of the other committees. Initially, the Governing Body directly appointed all congregation elders. By 1975, the appointment of elders and ministerial servants was said to be "made directly by a governing body of spirit-anointed elders or by them through other elders representing this body." In 2001, The Watchtower, stated that recommendations for such appointments were submitted to branch offices. As of September 2014, circuit overseers appoint elders and ministerial servants after discussion with congregation elders, without consulting with the branch office. The Governing Body continues to directly appoint branch office committee members and traveling overseers, and only such direct appointees are described as "representatives of the Governing Body." Relationship with "faithful and discreet slave"
The Governing Body is said to provide "spiritual food" for Jehovah's Witnesses worldwide. Until late 2012, the Governing Body described itself as the representative and "spokesman" for God's "faithful and discreet slave class" (Jehovah's Witnesses who profess to be anointed) who are collectively said to be God's "prophet" and "channel for new spiritual light". The Governing Body does not consult with the other anointed Witnesses whom it was said to represent when formulating policy and doctrines or approving material for publications and conventions; the authority of the Governing Body was presumed to be analogous to that of the older men of Jerusalem in cases such as the first-century circumcision issue. The majority of Witnesses who profess to be anointed have no authority to contribute to the development or change of doctrines. Anointed Witnesses are instructed to remain modest and avoid "wildly speculating about things that are still unclear," instead waiting for God to reveal his purposes in The Watchtower. In 2009, The Watchtower indicated that the dissemination of "new spiritual light" is the responsibility of only "a limited number" of the "slave class", asking: "Are all these anointed ones throughout the earth part of a global network that is somehow involved in revealing new spiritual truths? No." In 2010 the society said that "deep truths" were discerned by "responsible representatives" of the "faithful and discreet slave class" at the group's headquarters, and then considered by the entire Governing Body before making doctrinal decisions. In August 2011, the Governing Body cast doubt on other members' claims of being anointed, stating that "A number of factors—including past religious beliefs or even mental or emotional imbalance—might cause some to assume mistakenly that they have the heavenly calling." The Governing Body also stated that "we have no way of knowing the exact number of anointed ones on earth; nor do we need to know", and that it "does not maintain a global network of anointed ones." At the 2012 Annual Meeting of the Watch Tower Society, the "faithful and discreet slave" was redefined as referring to the Governing Body only and the terms are now synonymous. Prior to 1971, various Watch Tower Society directors were informally identified as members of the "governing body". Jehovah's Witnesses publications began capitalizing Governing Body as a proper noun in 1971; The Watchtower that year announced "The present Governing Body comprises eleven anointed witnesses of Jehovah." These eleven members are indicated in italics in the list below. Years active are shown in parentheses. All members served until their deaths unless specified. ^ Penton, M. James (1997). Apocalypse Delayed: The Story of Jehovah's Witnesses. University of Toronto Press. p. 297. ISBN 0-8020-7973-3. Since 1975, the Governing Body has been the supreme ruling council of Jehovah's Witnesses. ^ a b "Questions From Readers". The Watchtower. November 15, 1972. p. 703. ^ "Our active leader today", The Watchtower, September 15, 2010, page 27, "They recognize, however, that Christ is using a small group of anointed Christian men as a Governing Body to lead and direct his disciples on earth." ^ "Bearing Thorough Witness" About God's Kingdom. Watchtower Bible and Tract Society. 2009. p. 110. Mark Sanderson appointed in September 2012 "A New Member of the Governing Body". The Watchtower. July 15, 2013. p. 26. ^ a b "Guy H. Pierce, Member of the Governing Body, Dies at 79". Official website of Jehovah's Witnesses. The Watch Tower Bible and Tract Society of Pennsylvania. March 20, 2014. ^ Penton, M. James (1997). Apocalypse Delayed: The Story of Jehovah's Witnesses. University of Toronto Press. p. 217. ISBN 0-8020-7973-3. ^ Watch Tower Bible and Tract Society of Pennsylvania (2007). Yearbook of Jehovah's Witnesses. pp. 4, 6. ^ Botting, Heather & Gary (1984). The Orwellian World of Jehovah's Witnesses. University of Toronto Press. p. 178. ISBN 0-8020-6545-7. ^ Franz, Raymond (2007). In Search of Christian Freedom. Commentary Press. p. 123. ISBN 0-914675-17-6. ^ a b Franz, Raymond (2007). Crisis of Conscience. Commentary Press. p. 58. ISBN 0-914675-23-0. ^ Franz, Raymond (2007). In Search of Christian Freedom. Commentary Press. pp. 186, footnote. ISBN 0-914675-17-6. ^ Penton, M. James (1997). Apocalypse Delayed: The Story of Jehovah's Witnesses. University of Toronto Press. pp. 162–163, 214. ISBN 0-8020-7973-3. ^ Franz, Raymond (2007). Crisis of Conscience. Commentary Press. pp. 61–62. ISBN 0-914675-23-0. ^ Penton, M. James (1997). Apocalypse Delayed: The Story of Jehovah's Witnesses. University of Toronto Press. p. 59. ISBN 0-8020-7973-3. ^ "Theocratic Organization in Action". The Watchtower. November 1, 1944. p. 328. ^ "Divine Will International Assembly of Jehovah's Witnesses". The Watchtower. February 15, 1959. p. 115. So with intense interest the spiritual governing body of Jehovah’s witnesses watched the developments... Without delay the president of the Watch Tower Bible & Tract Society closed a contract with the owners to use the Polo Grounds simultaneously with Yankee Stadium. ^ Yearbook of Jehovah's Witnesses. Watch Tower Society. 1970. p. 65. ^ a b Franz, Raymond (2007). Crisis of Conscience. Commentary Press. p. 57. ISBN 0-914675-23-0. ^ Franz, Raymond. Crisis of Conscience. p. 44. The seven directors at October 20 were Nathan Knorr, Fred Franz, Grant Suiter, Thomas Sullivan, Milton Henschel, Lyman Swingle and John Groh. The additional four to form the Governing Body were William Jackson, Leo Greenlees, George Gangas and Raymond Franz. ^ a b c d "Theocratic Organization with Which to Move Forward Now;A Governing Body as Different from a Legal Corporation". The Watchtower. December 15, 1971. p. 749-756. ^ Yearbook of Jehovah's Witnesses. 1972. pp. 254–257. ^ Franz, Raymond (2007). Crisis of Conscience. Commentary Press. p. 78. ISBN 0-914675-23-0. ^ "Questions From Readers". The Watchtower: 703. November 15, 1972. ^ Franz, Raymond (2007). Crisis of Conscience. Commentary Press. pp. 44–110. ISBN 0-914675-23-0. ^ Penton, M. James (1997). Apocalypse Delayed: The Story of Jehovah's Witnesses. University of Toronto Press. p. 228. ISBN 0-8020-7973-3. ^ Franz, Raymond (2007). Crisis of Conscience. Commentary Press. p. 45. ISBN 0-914675-23-0. ^ Franz, Raymond (2007). Crisis of Conscience. Commentary Press. p. 46. ISBN 0-914675-23-0. ^ Penton, M. James (1997). Apocalypse Delayed: The Story of Jehovah's Witnesses. University of Toronto Press. p. 215. ISBN 0-8020-7973-3. ^ Franz, Raymond (2007). Crisis of Conscience. Commentary Press. pp. 81–105. ISBN 0-914675-23-0. ^ Franz, Raymond (2007). Crisis of Conscience. Commentary Press. pp. 80–107. ISBN 0-914675-23-0. ^ Jehovah's Witnesses–Proclaimers of God's Kingdom. Watch Tower Society. 1993. pp. 108–109. ^ a b Penton, M. James (1997). Apocalypse Delayed: The Story of Jehovah's Witnesses. University of Toronto Press. pp. 117–123. ISBN 0-8020-7973-3. ^ a b Botting, Heather & Gary (1984). The Orwellian World of Jehovah's Witnesses. University of Toronto Press. pp. 158–165. ISBN 0-8020-6545-7. ^ a b "Witness Under Prosecution", Richard H. Ostling, Anne Constable, Time Magazine, February 22, 1982. ^ Franz, Raymond (2007). "11-12". Crisis of Conscience. Commentary Press. ^ Penton, M. James (1997). Apocalypse Delayed: The Story of Jehovah's Witnesses. University of Toronto Press. pp. 219, 297–302, 319. ISBN 0-8020-7973-3. ^ "Jehovah's Provision, the "Given Ones"". The Watchtower. April 15, 1992. p. 16-17. ^ "Announcement". The Watchtower. April 15, 1992. p. 31. ^ 1993 Yearbook of Jehovah's Witnesses. Watchtower Bible and Tract Society. p. 253-254. ^ "New Members of the Governing Body". The Watchtower. January 1, 2000. p. 29. The new members, all anointed Christians, are Samuel F. Herd; M. Stephen Lett; Guy H. Pierce; and David H. Splane. Samuel Herd ... was also serving as a helper to the Service Committee. Stephen Lett ... was a helper to the Teaching Committee. Guy Pierce ... had been serving as a helper to the Personnel Committee. David Splane ... had been a helper to the Writing Committee. ^ "New Members of the Governing Body". The Watchtower. January 1, 2000. p. 26. Geoffrey W. Jackson and Anthony Morris III—would be added to the Governing Body of Jehovah’s Witnesses. ... In April 2003, [Jackson] became part of the United States Bethel family and began to work in the Translation Services Department. Soon thereafter, Brother Jackson was made a helper to the Teaching Committee of the Governing Body ... 2002 [Morris] worked in the Service Department at Patterson and later as a helper to the Service Committee of the Governing Body. ^ "Walking in the Path of Increasing Light". The Watchtower. February 15, 2006. p. 28. ^ "How the Governing Body Differs From a Legal Corporation". The Watchtower. 15 January 2001. p. 29. ^ a b c "How the Governing Body Is Organized". The Watchtower. May 15, 2008. p. 29. ^ Penton, M. James (1997). Apocalypse Delayed: The Story of Jehovah's Witnesses. University of Toronto Press. p. 218. ISBN 0-8020-7973-3. ^ Franz, Raymond (2007). Crisis of Conscience. Commentary Press. pp. 85, 115. ISBN 0-914675-23-0. ^ "A History-Making Meeting". The Watchtower. August 15, 2011. p. 21. ^ 2012 Yearbook of Jehovah's Witnesses. p. 13-17. ^ "Theocratic Schools-Evidence of Jehovah's Love". The Watchtower. September 15, 2012. p. 13-17. ^ "A "Body of Elders" with Rotating Chairmanship". The Watchtower. November 15, 1971. p. 699,700. how will the “body of elders” in each congregation be selected? The governing body through the Watch Tower Society will send out a letter asking the committee that now looks after each congregation’s activity to...prayerfully consider who within your congregation really meets the qualifications of an elder or overseer. ...Then recommendations will be made to the governing body. ...After the governing body receives recommendations from the congregation, then proper appointments will be made. The governing body will do the appointing of elders in every congregation and this information will be sent out by the governing body through the various offices of the Society throughout the world. ^ "Hope Based on the Unfolding Purpose of God". The Watchtower. February 1, 1975. p. 86. ^ "Overseers and Ministerial Servants Theocratically Appointed". The Watchtower. January 15, 2001. p. 15. ^ a b "Questions From Readers". The Watchtower. 15 November 2014. pp. 28–30. ^ "Overseers and Ministerial Servants Theocratically Appointed". The Watchtower. January 15, 2001. p. 15. In addition to appointing Branch Committee members, the Governing Body appoints Bethel elders and traveling overseers. However, they do commission responsible brothers to act for them in making certain other appointments. ^ "Keep Holding Men of That Sort Dear". The Watchtower. October 1, 1988. p. 18-19. [The] traveling overseers sent forth by the Governing Body to preach the good news and help the congregations should be received hospitably and with respect. ...Elders, in particular, should show proper respect for these visiting representatives of the Governing Body. They are sent to the congregations because of their spiritual qualities and their experience, which is usually more extensive than that of many local elders. ^ "Cooperating With the Governing Body Today". The Watchtower. March 15, 1990. p. 19-20. Since February 1, 1976, each of the branches of the Watch Tower Society has had a Branch Committee made up of capable men appointed by the Governing Body. As representatives of the Governing Body for the country or countries under the supervision of their branch, these brothers must be faithful, loyal men. ...Branch Committees recommend mature, spiritual men to serve as circuit and district overseers. After being appointed directly by the Governing Body, they serve as traveling overseers. These brothers visit circuits and congregations in order to build them up spiritually and help them apply instructions received from the Governing Body. ^ "The Watchtower and Awake!—Timely Journals of Truth". The Watchtower. January 1, 1994. p. 21. ^ "Building for an Eternal Future". The Watchtower. January 1, 1986. p. 25. ^ Gov. Body as "Faithful & Discreet Slave" is explained in 8 minute clip. "2012 Annual Meeting Program". Official website of Jehovah's Witnesses. The Watch Tower Bible and Tract Society of Pennsylvania. ^ "The Things Revealed Belong to Us", The Watchtower, May 15, 1986, page 13. ^ Franz, Raymond (2007). In Search of Christian Freedom. Commentary Press. p. 153. ISBN 0-914675-17-6. ^ a b "The Faithful Steward and Its Governing Body". The Watchtower. June 15, 2009. p. 24. ^ Penton, M. James (1997). Apocalypse Delayed: The Story of Jehovah's Witnesses. University of Toronto Press. p. 211. ISBN 0-8020-7973-3. ^ "The Faithful Steward and Its Governing Body". The Watchtower. June 15, 2009. p. 23-24. They do not believe that their being of the anointed gives them special insights beyond what even some experienced members of the "great crowd" may have. They do not believe that they necessarily have more holy spirit than their companions of the 'other sheep' have. They do not expect special treatment; nor do they claim that their partaking of the emblems places them above the appointed elders in the congregation. ^ a b "A Secret Christians Dare Not Keep!". The Watchtower. June 1, 1997. p. 14. ^ "Insight That Jehovah Has Given". The Watchtower. March 15, 1989. p. 22. It is through the columns of The Watchtower that explanations of vital Scriptural truths have been provided for us by Jehovah’s 'faithful and discreet slave.' The Watchtower is the principal instrument used by the 'slave' class for dispensing spiritual food. ^ "Question From Readers". The Watchtower. August 15, 2011. p. 22. ^ "What Is the Governing Body of Jehovah's Witnesses?". Official website of Jehovah's Witnesses. The Watch Tower Bible and Tract Society of Pennsylvania. ^ "Kenneth Cook Appointed to the Governing Body". Official website of Jehovah's Witnesses. The Watch Tower Bible and Tract Society of Pennsylvania. Retrieved February 19, 2018. ^ a b c "New Members of the Governing Body". The Watchtower. January 1, 2000. p. 29. ^ a b "New Members of the Governing Body". The Watchtower. March 15, 2006. p. 26. ^ "Governing Body Addition". The Watchtower. November 1, 1994. p. 26. ^ "A New Member of the Governing Body". The Watchtower. July 15, 2013. p. 26. ^ "A Governing Body as Different from a Legal Corporation". The Watchtower. December 15, 1971. p. 762. ^ 1973 Yearbook of Jehovah's Witnesses. Watch Tower Bible and Tract Society of Pennsylvania. p. 257. The Governing Body of Jehovah’s Witnesses consists of eleven brothers, all anointed of God. They are as follows: Frederick W. Franz, Raymond V. Franz, George D. Gangas, Leo K. Greenlees, John O. Groh, Milton G. Henschel, William K. Jackson, Nathan H. Knorr, Grant Suiter, Thomas J. Sullivan and Lyman A. Swingle. ^ a b c d e Franz, Raymond (2007). Crisis of Conscience. Commentary Press. pp. 273–336. ISBN 0-914675-23-0. ^ "He Ran for "The Prize of the Upward Call" and Won!". The Watchtower. September 15, 1974. p. 554. On October 31, 1932, he [Sullivan] was made a member of the board of directors of the Watch Tower Bible and Tract Society of Pennsylvania; he was also one of the eleven-member governing body of Jehovah’s witnesses. ^ Jehovah's Witnesses - Proclaimers of God's Kingdom. Watch Tower Bible and Tract Society of Pennsylvania. p. 71. Thomas (Bud) Sullivan, who later served as a member of the Governing Body, recalled: “It was my privilege to visit Brooklyn Bethel in the late summer of 1918 during the brothers’ incarceration. ^ 1939 Yearbook of Jehovah's Witnesses. Watch Tower Bible and Tract Society of Pennsylvania. p. 195. The corporation, the WATCH TOWER BIBLE & TRACT SOCIETY, pursuant to its charter and by-laws, and the laws of the State of Pennsylvania, held its annual meeting at Pittsburgh, North Side, Allegheny County, Pennsylvania, on the first day of October, A.D. 1938, at which annual meeting a Board of Directors was elected as follows, to wit: J. F. Rutherford, C. A. Wise, W. E. Van Amburgh, H. H. Riemer, T. J. Sullivan, Wm. P. Heath, Jr., and Grant Suiter, to hold office for a period of three years, or until their successors are duly elected. ^ "A Loyal Fighter Passes On". The Watchtower. February 1, 1984. p. 9. ^ Jehovah's Witnesses Proclaimers of God's Kingdom. Watch Tower Bible and Tract Society of Pennsylvania. p. 91. On June 10, 1940, he became the vice-president of the Watch Tower Bible and Tract Society (Pennsylvania corporation). ^ "Firm to the End". The Watchtower. July 15, 1977. p. 441. ^ "Service Assembly and Annual Meeting—Pittsburg". The Watchtower. November 1, 1944. p. 334. ^ "How the Governing Body Differs From a Legal Corporation". The Watchtower. January 15, 2001. p. 28. ^ Jehovah's Witnesses–Proclaimers of God's Kingdom. Watch Tower Society. 1993. p. 91. ^ "Announcements". Our Kingdom Ministry. August 1980. p. 2. Raymond Victor Franz is no longer a member of the Governing Body and of the Brooklyn Bethel family as of May 22, 1980. ^ Penton, M. James (1997). Apocalypse Delayed: The Story of Jehovah's Witnesses. University of Toronto Press. p. 120. ISBN 0-8020-7973-3. ^ Beverley, James A. (1986). Crisis of Allegiance. Burlington, Ontario: Welch Publishing Company. p. 71. ISBN 0-920413-37-4. ^ "His Deeds Follow Him". The Watchtower. December 1, 1994. p. 31. ^ 1986 Yearbook of Jehovah's Witnesses. Watch Tower Bible and Tract Society of Pennsylvania. p. 255. ^ Penton, M. James (1997). Apocalypse Delayed: The Story of Jehovah's Witnesses. University of Toronto Press. pp. 322, 393. ISBN 0-8020-7973-3. ^ a b c "Governing Body of Jehovah's Witnesses Enlarged". The Watchtower. January 15, 1975. p. 60. ^ "We Were a Team". The Watchtower. April 1, 2001. p. 24. ^ "He Humbly Served Jehovah". The Watchtower. June 15, 1996. p. 32. ^ Yearbook of Jehovah's Witnesses. 1980. pp. 257–258. ^ "A Joyful Perseverer in Good Work". The Watchtower. July 1, 1977. p. 399. ^ "Jehovah Has Dealt Rewardingly With Me". The Watchtower. October 1, 1984. p. 21. ^ "His Delight Was in the Law of Jehovah". The Watchtower. September 15, 2006. p. 31. ^ "A Man Who Loved Life and People". The Watchtower. January 1, 2007. p. 8. ^ "Rejoicing Over "Victory With the Lamb"". The Watchtower. October 15, 2007. p. 31. ^ 2000 Yearbook of Jehovah's Witnesses. Watch Tower Bible and Tract Society of Pennsylvania. p. 130. ^ "New Members of the Governing Body". The Watchtower. November 15, 1977. p. 680. ^ "A Staunch Fighter for the Truth". The Watchtower. September 15, 1988. p. 31. ^ "He 'Knew the Way'". The Watchtower. December 15, 2014. p. 3. This page was last edited on 8 March 2019, at 09:38 (UTC).